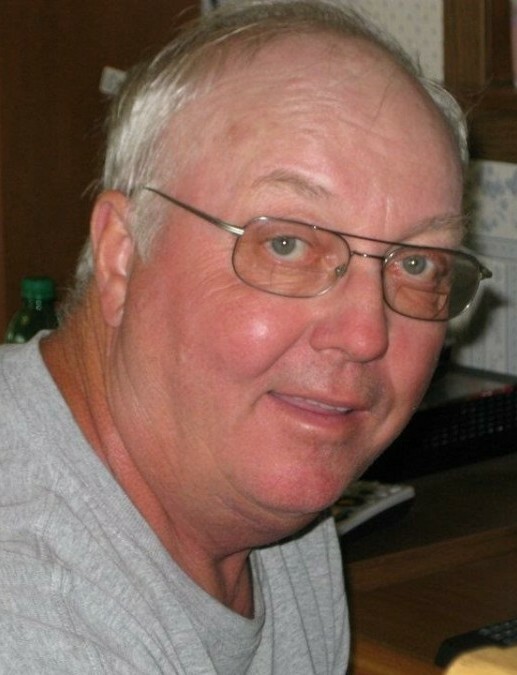 Roger Barnhardt, age 70, of Big Stone City, SD, lost his battle to Esophageal Cancer on August 18, 2018. Funeral services will be held on Saturday, August 25, 2018, at 10:30 am at First English Lutheran Church in Ortonville. Visitation will be held on Friday, August 24, 2018, from 5 to 7pm at the church with a prayer service to follow. Reverend David Tonn will officiate and interment will be in Greenwood Cemetery in Big Stone City, SD. Roger Leo Barnhardt was born on August 7, 1948, in Ortonville, MN, to Leo and Darlene (Smith) Barnhardt. He was raised in Big Stone City, SD, and lived his entire life there other than the time he spent in the U.S. Navy. On January 17, 1968, Roger enlisted in the Navy and was a part of the USS Naval Submarine Service for almost 4 years. While mutual friends were dating, Roger met Marilyn Dolen. They were married in Stockholm, SD, on October 28, 1972, and together, they raised four children. Roger started working for the Ortonville Farmer’s Elevator/West-Con on March 15, 1972, and worked there until his retirement on November 19, 2010. He also enjoyed farming with his dad, his Uncle, Buck, and his brothers. Roger served as the Big Stone City School Board President and as the Financial Officer of the Big Stone Legion Post 229. Roger enjoyed summer vacations with his family and one of his favorite pastimes was deer hunting. He liked traveling, RVing, and spending time with long-time friends, Jack and Vicki Hathaway. During his retirement, he loved spending winters in Sun City, AZ and golfing. He is survived by his wife, Marilyn; children: Tara (Tod) Welter, Tamara (Eric) Young, Traci (Seth) Fonger, and Jesse (fiancé, Shawna Arndt) Barnhardt; grandchildren: Ashley and Jamison Reese; Cierra and Carter Baker; Everly and Leo Fonger; and Grace Barnhardt; siblings: Sandy (Tom) Rice, Rick (Dawn) Barnhardt, Sharyn Cox, Suzann Harmening, R. Scott (Sheila) Barnhardt, and Rodney (Tonya) Barnhardt; brother-in-law, Leonard (Donna) Dolen; sisters-in-law: Elaine Hofhenke, Karen Loehrer, Gloria (Ted) Kubesh; and many other family members and friends. Preceding Roger in death are his parents and his in-laws, Olger and Elnora Dolen.